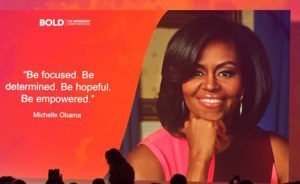 Two weeks ago I went to the MindBody BOLD Conference in San Diego. 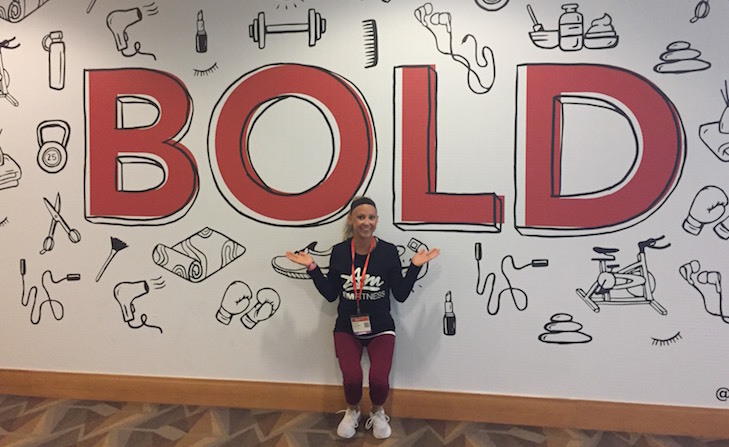 Not only was this my first time at the MindBody BOLD Conference, but it was also my first time in California! Everyone says that California is beautiful, but seeing it with your own eyes is something completely different, and I can say that everyone was correct, California is beautiful, and more specifically San Diego is beautiful! I can’t thank Mike enough for bringing me with him for this amazing experience! I was told that this conference wasn’t going to be like any other conference, and that could not have been more accurate. This conference was filled with thousands of fitness industry business owners, and the best part was, we were all in the same industry but no one was competing with each other! This conference was designed to give business owners the inspiration and education they need to grow their business. They provided us with amazing presenters and speakers. I can honestly say that watching successful business owners, and inspirational speakers present every hour inspired me to not only be a better employee, but to be a better boss, a better co-worker, and overall a better person! One of the best speakers that I saw while at BOLD, was “The SEED in You” presented by Coach Mike. To say that Coach Mike is an inspiration is an understatement, the way he connects with the emotions of his audience and the audience, in general, is simply amazing. Coach Mike wasn’t giving a presentation on how to be a better coach, or how to fun a successful business, he was giving a presentation on how to be the best “you”. Sometimes we get so caught up in being the best at everything that we forget to focus on simply being our best self. If you ever have the chance to see him, I would one hundred percent suggest taking the time to go! My favorite part of this conference, as was Mike’s, was the keynote speakers. Being able to be in the same room with Michelle Obama and Billie Jean King is a once and a lifetime experience. I always seem to forget that celebrities are people too, as foolish as that sounds. You always see them in the papers or magazines but you never really get to have a conversation with them to find out who they really are. Michelle Obama is one of the most down to earth, funniest people I have ever had the pleasure of listening too. She is an amazing, smart woman who is looking to make our children healthier and more active. I honestly didn’t think that she would be as funny as she was; I often had to wipe tears from my face because I was laughing so hard. 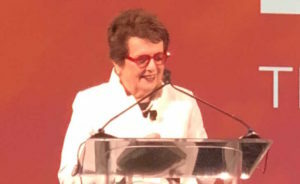 Billie Jean King is the cutest human beings I have ever seen, she makes me wish that she was my grandmother. She is the most caring badass person in our world today! She stands up for equal rights for both genders in and out of sports. She cares so much about equality, and I truly believe that if there were more people in the world today like her, our world would be a better place. She was named one of the “100 Most Important Americans of the 20th Century” by Life, and I am beyond honored that I was able to hear her speak. 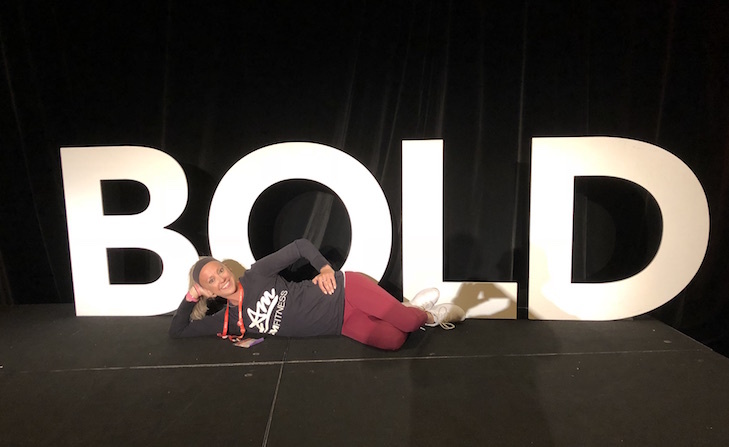 While at BOLD, I had the chance to take the Manager Certification course, which was actually the first time MindBody offered this course at BOLD. Throughout this course, I learned so much about the software that we use. There was so much useful information given to us to help our businesses succeed, by the end of the eight-hour course I felt like my head was stuffed with information, and to think that I still don’t know some things about our software! I was apprehensive about this course, but I am very thankful that Mike had me participate in it. Mike pushed me out of my comfort zone the whole entire time that I was there, and I mean who would actually be surprised by that, it is who Mike is. Mike pushes me out of my comfort zone when it has anything to do with A|M Fitness, but I figured on the one day that we had to enjoy the sun I figured he wouldn’t push me out of my comfort zone. WRONG! I have always been terrified of the open ocean, just the fear of not knowing what is underneath you, or you know the possibility of being eaten by a shark! Well on the last full day in California we went to the beach, Mike told me that I was going to either kayak or paddleboard in the ocean to this cove where sea lions and seals are. The first thing I thought of was “oh cool… great white sharks eat seals….” I asked him if I could just sit on the beach and tan, but nope, Mike told me I had to pick one. Once again Mike pushed me out of my comfort zone and I am so happy that he did. Paddleboarding in the open ocean was a once in a lifetime experience…it was amazing…but I think one time is enough for me! 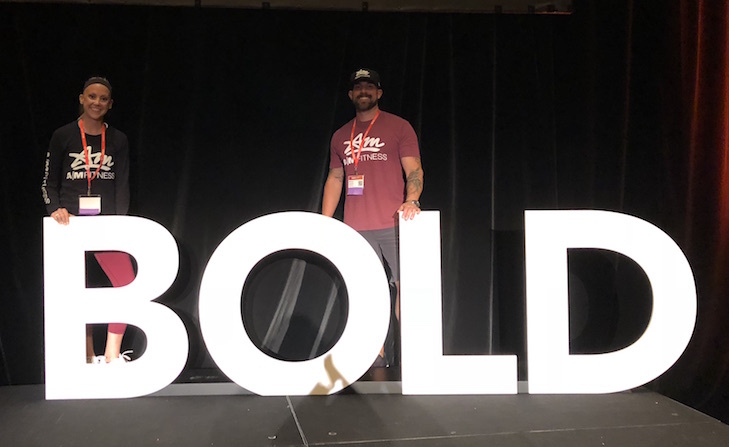 The MindBody BOLD Conference was an amazing experience that I will never forget!